Product was simple to install. Good quality and performed exactly like good Peavy products are supposed to. Shipping was quick and the packaging was good. I am very pleased with my items, thank you very much. Arrived quickly. Packaged nicely. Quality Peavey product. Questionable ferofluid applicator-didn't seem to transfer much, but, they work great, sound great. No problems. 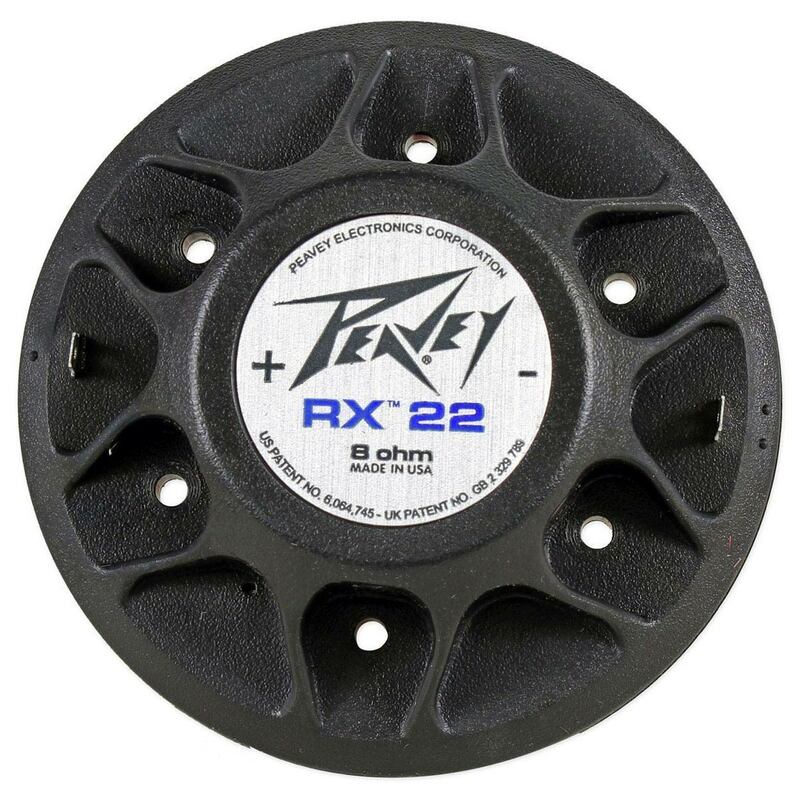 Just what I needed for my Peavey SP 2Ti speakers. Work good. Replaced some that we had blown and they sound just as good. Factory part fit perfectly in 30 year old horns. Easy to install. It came with longer screws to compensate for the added gasket that was not present on the old diaphragm. 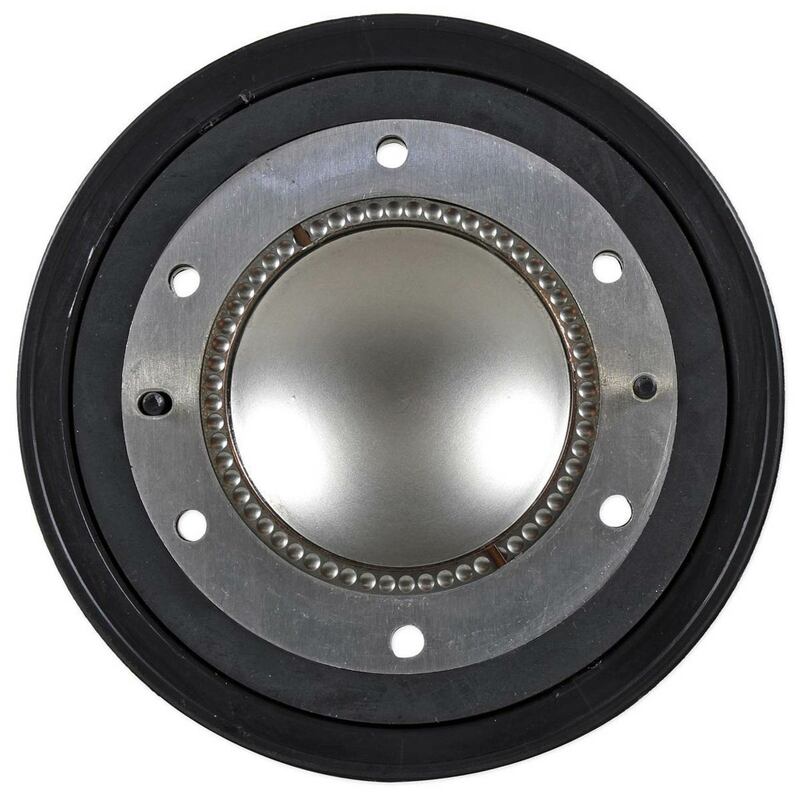 A: Yes, this diaphragm replaces the Peavey 22T model horn driver. Q: I have a Peavey SP3G. It sounds like this should fit. What is the ferrofluid? Do I need it for a replacement. This is not mentioned in the demo. Thanks !!! A: This is a liquid used to cool the voice coil and enhance driver performance. The new factory Peavey 22XT diaphragm comes with a FerroFluid kit and installation instructions. Q: Is this a screw on and how many watts will this handle? A: This is the diaphragm only (not the entire driver). It is used to repair an existing driver. Q: I have a Peavey SP 2 XT. Is this the diaphragm I need to replace the original part? I just blew the highs on the speaker. I have a picture of the information on the back of the speaker. It says 8 ohms, 600w RMS, 300w RMS, and 1200 Hz crossover. A: Yes, this is the correct replacement diaphragm for your Peavey model. Thanks! Q: I'm replacing diaphragm on a RX22. do I need to use the ferrofluid on this diaphragm? A: Yes, and the Ferro Fluid can be purchased separately if needed. Thanks! Peavey: HV1200, PR1500, 1522HC, CL-2, CL-1, 115 International Series III Oak, HKS-15, 115TF, 112TI, 115TI, HV1280, PR1280, SP2XT, SP4XT, SP5XT, DJS1800, 112SE, Impulse 200, Impulse 1012, Impulse 1015, DJS4, SP2G, SP2X, SP3X, SP4G, SP4X, SP5G, SP5X, SP6X, SP112MX, SP115MX,SP12M, EU112D, EU115D, EU112M, QW3, DJS5, SP8, Impulse 200P 112DLM, 115DLM, SP112M, SP115M, Impulse 200 4 Ohm, SP3G, SP6G, Impulse 1280, 115CM, 115TF, Impulse 1282, HV1282, 112TLM, 115TLM, Impulse 200 8 Ohm, 1522TLS, Impulse 500, DS1502, DS1803, DS3003, 1545TI, MF1-X/MK-3 Series, SP2Ti, SP4Ti, SP5Ti, 115 Int. HC, 118 Int. HC, 3020HT, 1245M, HDH-1, 112PS, HDH-4, 115TF Bleached Oak Enclosure, Impulse 500 4 Ohm Impulse 500P, 03452400, 00452400, and many more!